Frost has layered baseball diamonds across the country. The holidays are the darkest times for baseball junkies, with the World Series miles in the rearview mirror and Spring Training too far away. 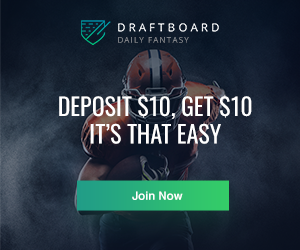 Luckily at RotoBaller, we try to match the flurry of real front office activity with ample offseason fantasy content of our own. Exit velocity has become mainstream for this generation of baseball. 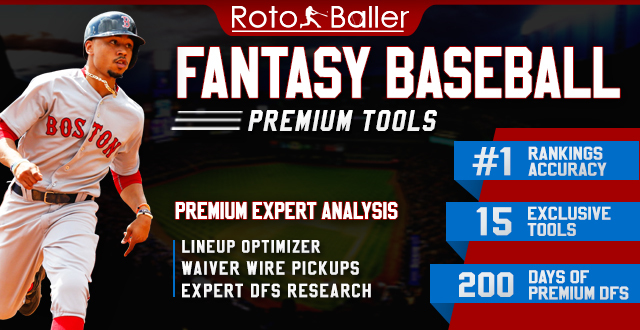 We discussed it last season to evaluate rising and falling starting pitchers. With a caveat. While exit velocity holds some indication of a pitcher’s (mis)fortunes, the hitter mainly controls the batted-ball outcome. Therefore, the most reliable way to measure a pitcher with exit velocity is consistency. 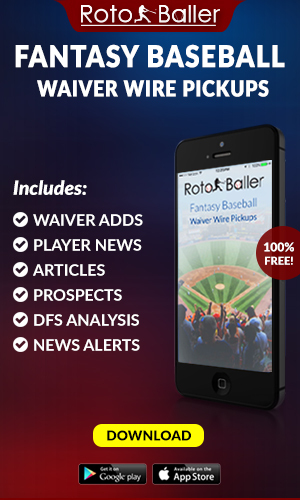 We’ll outline six pitchers, three from each circuit, to target in fantasy drafts next season. Our sample size includes 47 pitchers that experienced at least 500 batted-ball events in 2018. For reference, the median exit velocity was 88.0 MPH overall, 92.4 MPH for FB/LDs and 84.5 MPH for grounders. This one’s obvious, but Jacob deGrom was fourth in average exit velocity at a paltry 85.5 MPH. Importantly, that figure was identical to his 2017 result, so there weren’t any quirks in the Cy Young campaign. deGrom’s age-30 season was his most dominant, inducing hard contact on just 27% of batted-balls and whiffs on 15% of pitches. His fastball averaged a ridiculous 96 MPH, and his peripheral arsenal is one of the most diverse and elite in baseball. The point of highlighting deGrom here isn’t to regurgitate his excellence; it’s to make the argument that he should be the top pitcher off the board. Come draft day, his value should merit consideration equivalent to perennial first-rounders like Max Scherzer and Chris Sale. 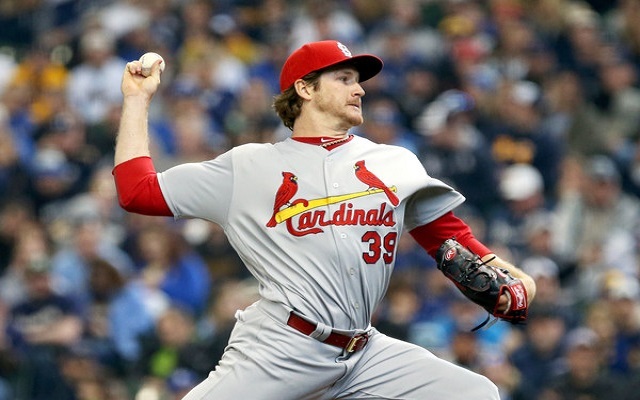 Miles Mikolas emerged from three seasons overseas with the Yomiuri Giants to finish 2018 as a top-15 fantasy starter. His resume showed minimal red flags, achieving a superb 2.83 ERA (3.28 FIP) via pinpoint control and a killer slider. His worm-burner tendencies (49% GB%) allotted him the league’s third-lowest exit velocity of 85.4 MPH and just 82.5 MPH on grounders. By weaning off a mediocre heater and developing a slider-curveball combo, Mikolas used weak contact to his advantage. His age (30) and limited sample size may discourage fantasy players on draft day, but Mikolas genuinely reinvented himself in Japan. Back in 2014, Mikolas was a straight fly ball pitcher. Those tendencies are now inverted. He should make a serviceable SP3 for fantasy squads in 2019. Kyle Freeland proved why he was the eighth overall pick in 2014, parlaying a decent rookie season in 2017 to a 17-7 record, 2.85 ERA and 1.25 WHIP in 2018. Freeland made positive strides in SwStr% (9.0%), first-pitch strikes (62%) and resulting strikeouts (7.7 K/9). His average exit velocity year-over-year remained steady at 85.9 MPH, so he’s proven he can miss sweet spots. Freeland was a workhorse in 2018, surpassing six innings in 26 of 33 starts and should continue ascending on an impressive young staff. Freeland is a ground ball pitcher (46% GB%), so the Coors Field factor shouldn’t be overly dwelled upon. Draft stock for Rockies pitchers has been structurally discounted in all our minds, so take advantage of the relatively cheap price tag. Fantasy players will likely remember Jose Berrios’ inconsistent second half where he posted a 4.15 ERA and 1.40 WHIP. What we’ll struggle to recall is that through his first 20 starts, Berrios held a 4.4 K/BB and tallied four outings of 10-plus strikeouts. Despite the frustrating splits, Berrios has consistently been on the leaderboard for lowest exit velocity, which was 86.1 MPH in 2018. Still just 24 years old, Berrios’ primary issue has been control, but when he’s on, he’s borderline unhittable. With just two good pitches, a development of a reliable third option could be a game changer. For a rising ace that offers a mid-3.00 ERA and a strikeout per nine, his volatility has masked the obvious talent. He’s worth the risk as an SP2 in the early-middle rounds. Dallas Keuchel is no stranger to the exit velocity conversation. In 2015 and 2017, Keuchel was in the top-ten for lowest exit velocity. In 2018, that number spiked to 87.0 MPH. So who is the real Dallas Keuchel? Keuchel had a serviceable 2018 season, registering a 3.74 ERA (3.69 FIP) and 19 starts allowing two or fewer earned runs. If the free agent market transpires like last season, it could be a while before veterans like Keuchel find a new home. For fantasy purposes, Keuchel is a known commodity. He should be a slam dunk for quality starts and a functional WHIP. Players without teams tend to fall unfairly too far in draft rooms, and Keuchel could provide SP3 returns at an SP5 price. Marco who? Turns out, Marco Gonzales enjoyed a breakout campaign in 2018. 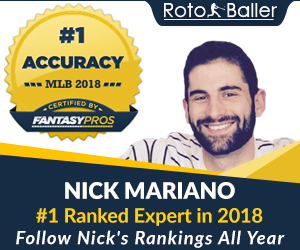 The former first-rounder posted a strong 3.43 FIP that was masked by a 4.00 ERA while holding a sturdy 4.5 K/BB ratio in his first full season as a starter. Admittedly, Gonzales was just average in exit velocity at 88.1 MPH, but he’s shaping up to be a dark horse sleeper in 2019. His 90 MPH heater is obviously meh, and the 7.8 K/9 just isn’t going to generate meaningful buzz. But the M’s will likely give their youngster a long leash. Gonzales could break Spring Training as the Opening Day starter. With three above-average pitches and a clear path to innings, Gonzales merits attention in the backend of drafts. Every fantasy roster needs a rotational SP5, and Gonzales fits the profile.